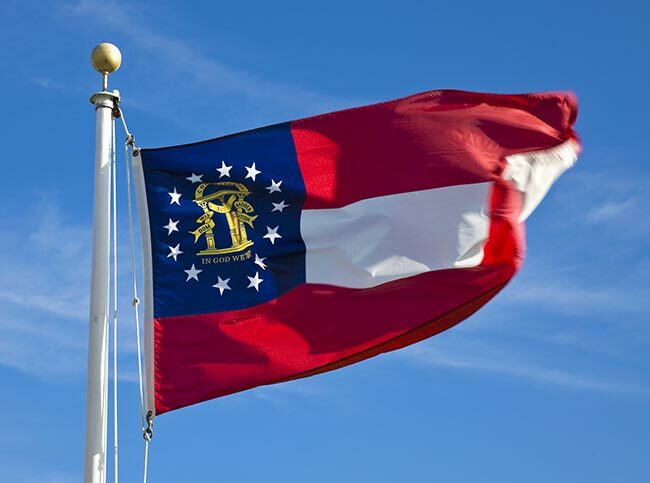 From its first textile mills to its modern, diversified industrial base, Georgia has long led the South in manufacturing. 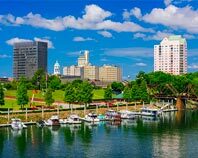 The Peach State's success in industry is due in large part to its vast network of highways, which give manufacturers easy access to supplies and customers. 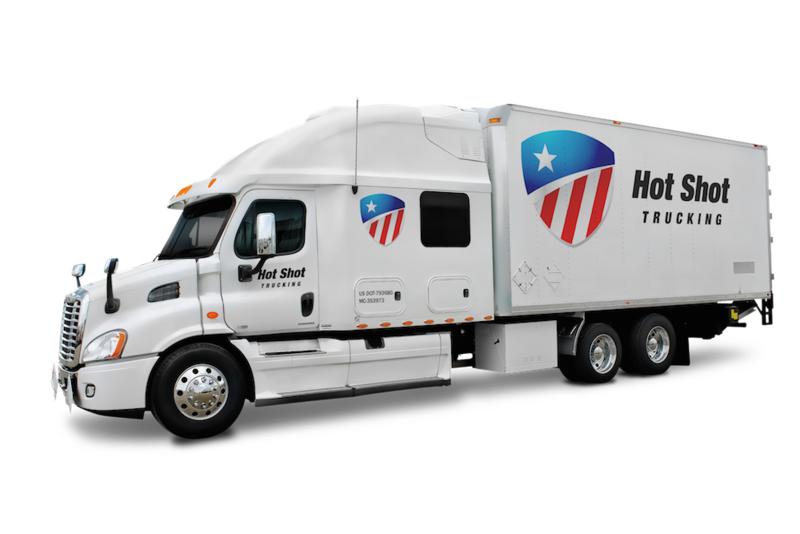 Hot Shot Trucking takes full advantage of this infrastructure, planning quick, efficient routes for all deliveries in, out, and across Georgia. Georgia's industry is as diverse as it is advanced. In addition to its traditional textile production, the state also has factories for food processing, chemical production, paper crafting, automobile manufacturing, and electrical equipment production. While having so many manufacturers has made the economy robust and prosperous, it has also complicated logistics. Both supplies and finished goods in each industry have unique storage and safety needs, which must be taken into account during shipping. 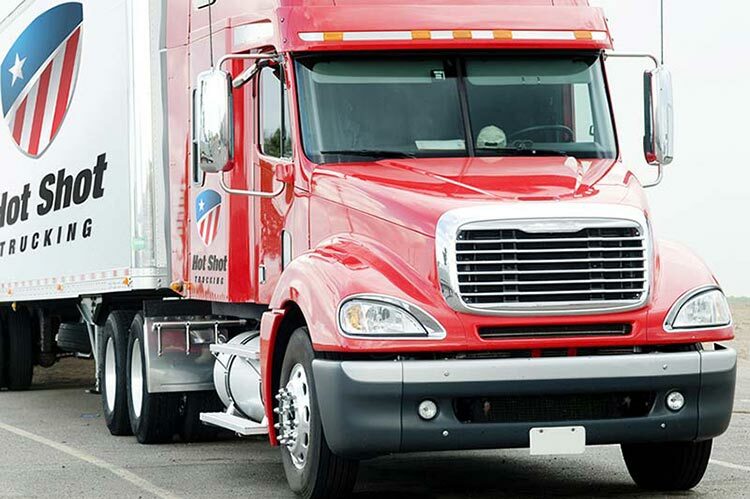 Ordinary trucking companies struggle to meet so many different needs for each customer. Hot Shot Trucking, however, is far from ordinary. We have extensive experience serving manufacturers, having worked with companies that produce machinery, automotive parts, electronics, packaging, and a myriad of other products. For each customer, we provide the highest standards of safety and efficiency at a minimal cost. Delivery Dedication - Instead of lumping multiple clients' orders into one vehicle, we devote a Hot Shot truck to each client's order. We thus don't have to take any detours on the way to your destination. Team Trucking - Rather than assign one driver per truck, we require all vehicles that travel long distances to have at least two operators. As a result, our vehicles do not have to stop overnight, yet our drivers are fully rested and alert, as one can sleep while the other drives. Size Savvy - In addition to matching the number of drivers to the length of the journey, we also match the size of the truck to the volume of your order. We have sprinter vans for small orders, straight trucks of various sizes for larger ones, and tractor trailers for especially large shipments. In this way, we ensure that every inch of the truck is full, meaning that you will not be charged for room that your goods do not occupy. Truck Tenacity - Our expert maintenance team conducts regular inspections on all of our vehicles, looking for any signs of damage, outdated equipment, or other potential problems. If we find any, we repair and upgrade the vehicle immediately, improving our trucks' speed and fuel efficiency while lowering the risk of accidents. Constant Contact - We remain in regular communication with all of our clients throughout the pickup and delivery process. By providing a single point of contact, we allow you to make clear predictions about your orders and plan accordingly. 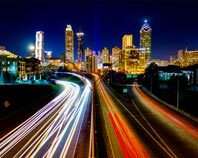 Hot Shot Trucking has vehicles and coverage in cities throughout North America, including Atlanta. We are committed to picking up your order within 2 hours and delivering it as soon after that as possible. For more information on our services, contact us today at (800) 713-1000.